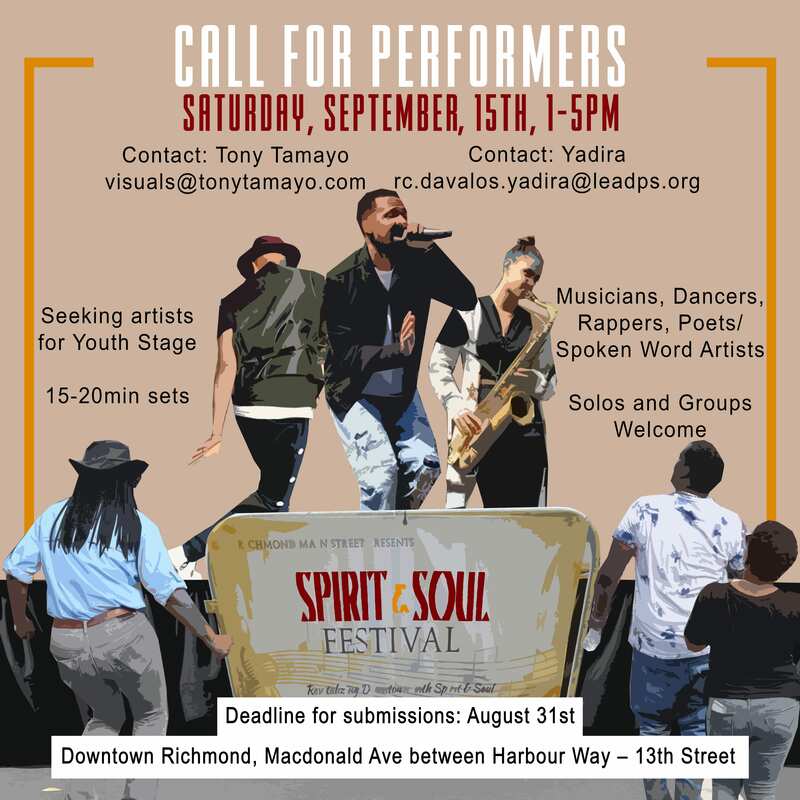 Richmond Main Street seeks performers for the Youth Stage at our 10th annual Spirit & Soul Festival on Saturday, September 15th from 1-5pm! The Spirit & Soul Festival is a true celebration of Downtown Richmond and transforms historic Main Street into an outdoor bazaar filled with food and artisan vendors, live music from two stages, dancing in the street, a beverage pavilion with VIP seating, and youth zone. Performers must bring own instruments, tracks, etc. Mics, sound board, amps will be provided. Please share with anyone you think may be interested in performing or passing the info along.